Dominican American artist Kenny Rivero explores his identity through richly inventive works in various states of completeness. Slightly cryptic, Rivero's drawings and paintings create a state of playful confusion. His paintings leave questions unanswered, inviting the viewer to piece the puzzle together, and leaving a sense of mystery. Autobiographical in nature, his paintings provide compelling narratives connecting to his family history and childhood. Rivero's work uses an array of visual symbolism: floating eyes, suspended heads, disembodied legs, feet, silhouettes, empty sidewalks, and ominous alleyways. The work combines fantasy and imagination with poetic invention, capturing a sense of nostalgia. Rivero's quirky imagery is mysterious and enchanting and sometimes threatening with a sly sense of humor. From May 2nd to May 4th, Kenny Rivero will use the E. Avery Draper Gallery as a live studio to draw, paint, and create a new work of art. Viewers will have the unique opportunity to meet the artist, ask questions about his processes, and witness the unfolding of a new work of art. This will occur during business hours on Wednesday, May 2nd through Friday, May 4th concluding at 5 PM before the opening reception during Art Loop. 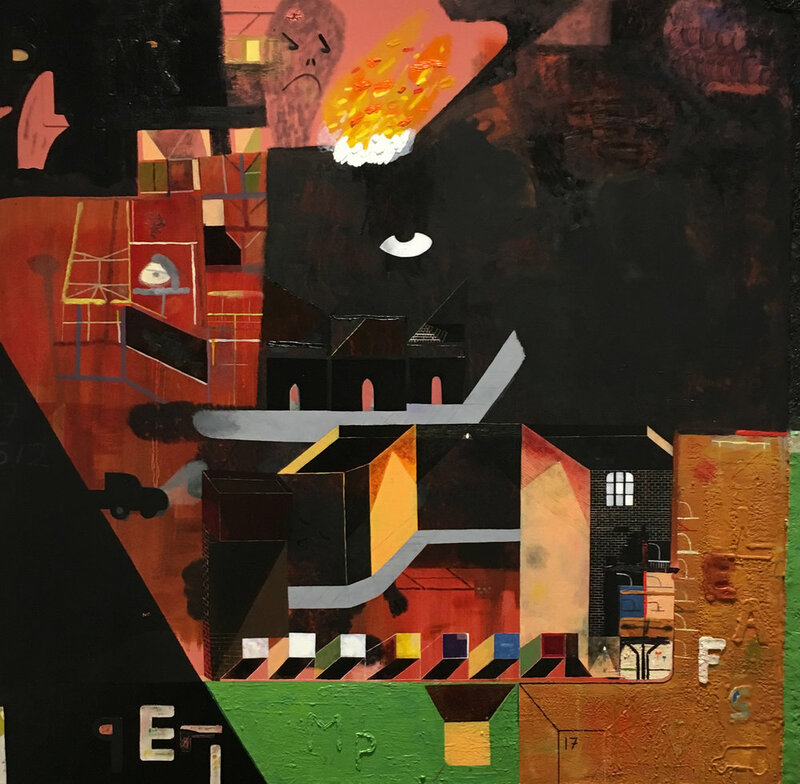 Kenny Rivero received his Bachelor of Fine Arts from the School of Visual Arts in New York, and his Master of Fine Arts at Yale University in New Haven, Connecticut. He also studied at the Skowhegan School of Painting and Sculpture in Maine. He currently teaches at the Massachusetts College of Art and Design. He has been a guest critic, curated juried exhibitions, been a visiting artist and visiting scholar at various institutions, and received various travel grants. He received the Doonsbury Award at Yale, and was an Artist in Residence at the Roswell Artist Residence Program in Roswell, New Mexico. His work has been exhibited at the Roswell Museum and Art Center in New Mexico and his work has also been exhibited in New York, New Jersey, Connecticut, Montana, as well as in Rome and Tokyo. This exhibition is funded in part by Greg Shelnutt, in honor of Eve Shelnutt (1941-2015), poet, author, mother.